For some while now, at least this year she has been making rounds online with her Husband Kenneth Petty who she claimed to be her future kids father. The Chun Li rapper has took a new photo of herself and Ken to keep her ex missing her moments. Although Meek is not regretting the out coming of their split though the both parties has took jabs on each other following some hurting comment. Nicki is the female rapper who knows how to get to corner of her foes and she's back to inflect regret those who worth ? 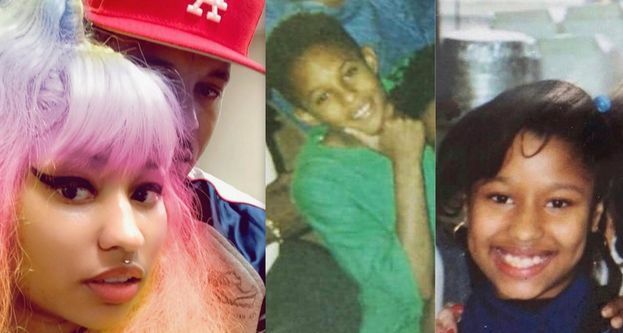 She recently shared trending online childhood photos depicting herself with her Kenneth Petty. She uncovered some series of her past life, disclosing that she not normally smile. Nicki Minaj keep ignite her high profile celeb. She always gets the right time to bounce out things that mostly get everyone talking.